Kick-off the holiday season at Winter Wonderland, Oconto's holiday light display. 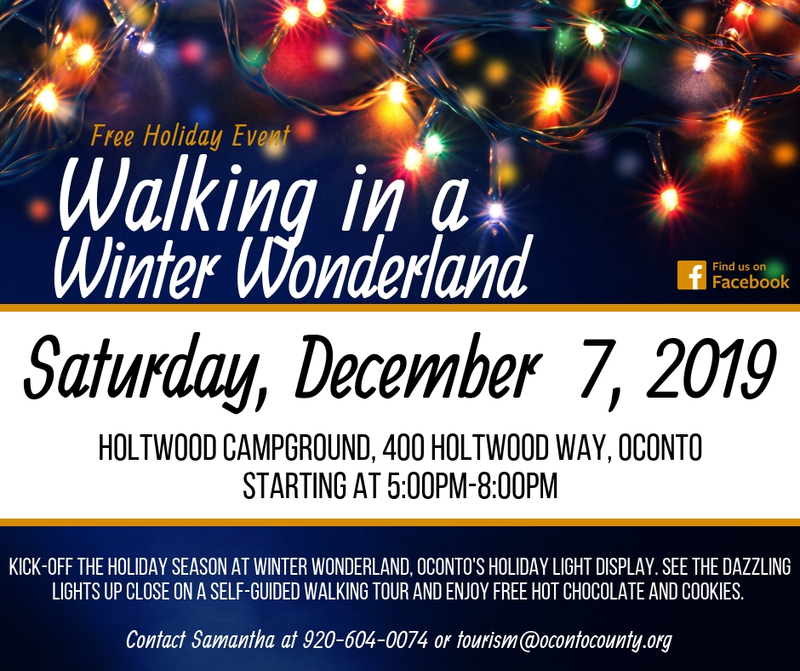 See the dazzling lights up close on a self-guided walking tour and enjoy free hot chocolate and cookies starting at 5:00pm-8:00pm at the Oconto Holtwood Campground, 400 Holtwood Way. This event is free for our residents and visitors! For more information or questions please call Samantha at 920-604-0074 or email tourism@ocontocounty.org.